I have had a couple of requests for a an ERE oriented workshop or a talk. I know that some of my colleagues give talks at libraries or meet at cafes, etc. for that purpose. I also know that many prefer a more hands-on approach or are motivated by meeting people face to face. Does this have general interest? Would you be interested in attending a workshop? Could you actually make it to a workshop? (San Francisco area). If not, could you arrange it somewhere else and gather enough people to pay my ticket? Would you go for the SWAG (stuff we all get) e.g. an exclusive ebook or something like that? How about simple meet ups, e.g. no talk but simply Q&A or “networking”? Just to be clear I am currently working on a “real” book. The regular procedure for non-fiction is to submit a proposal and a few sample chapters, but I very quickly realized that this was not going to work—the current version looks absolutely nothing like the initial disposition. Hence, I took on the process of writing the entire book before submitting it. eBooks (or other books) would follow later. Right now I have my [creative] hands too full with the book and the blog. previous post: Maybe nobody knows how to cook? 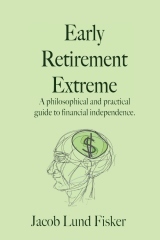 22 users responded in " Extreme Early Retirement Workshop "
Wow, cool idea. I would definitely attend if I were in the San Fran area, but I’ve internalized all the personal finance advice about frugality and probably wouldn’t pay for than a few bucks to attend. Would totally love to see a webcast or recording if this happens and I can’t make it! I probably wouldn’t want to pay for it. But I would definitely buy your book. I’d be all for a meetup and think it’s a great idea. In terms of costs… definitely would be willing to buy your book, maybe a little more. We’re all frugal people so we’d want to do something low-key and inexpensive. I think you might be able to reach more people if you were to set up a streaming internet-radio station (if you have your own internet connection you can do this for no additional cost if you are willing to learn how to set up servers and internet ports) that would broadcast at a certain time (maybe quarterly or even once). You could also skype in guests to have a discussion with and answer questions that listeners could email/tweet in. Maybe put a paypal donation link next to the streaming audio player. Also, you could try contacting some of the Public Radio talk show hosts to see if they would want to do a show on frugality and early retirement. I’m fairly sure that one of the hosts at Wisconsin Public Radio would want to do a show with you just because this seems like it would be the type of subject that they like to cover (especially once you finish your book, they love talking to authors). I have gained so much from this site so I would pay. Sadly, I am in South Florida. I prefer a live workshop or even better, “simple meet ups” and would be delighted to attend and meet you. I live in Sacramento so I’d be able to come to the Bay area. Perhaps you could do a combination of meeting formats to meet the needs of those both near and far. I’m too frugal to go to SF. I would buy your book. It doesn’t need to be a physical book. Kindle or PDF would be fine. I don’t know that I’d care for a webcast. Reading lets me study at my own pace without the noise. I think that we’re all basically not going to SF. While it would be awesome to get away from all the snow, it’s a long way to where you live. I’m pro streaming video. I would definitely attend that; it would be like Ramit Sethi’s model, but arguably better because you’re not a snarky finance blogger. I’m in the bay area, and think a Q & A or seminar would be a great idea, however, I am quite cheap, and don’t like to drive, so maybe I would make it to something in the tri-valley/east bay, but probably not San Francisco, and probably not if it cost too much. You could probably gather a significant college audience at Cal or Stanford, and still make some $ only charging a buck or two each. It would be easy to video or audio stream or at least post a recording for those readers out of the area. I would likely buy a book or download an ebook or similar. I would love to go to one of your workshops and I am in the Bay Area! Where do I sign up? Your other audience would be people who are relatively new to the idea–they’d probably be more likely to pay for a seminar and the topics could probably be similar to what you have in the blog. . .
You’re the man. Been reading awhile (Lurker one may say). You’ve asked an interesting question in the post. So, here’s my tuppence. Firstly the Internet/Web is your soapbox. You get your readers/followers/dissenters/whatever….. heavily on the net. I am several 1000 kms away from you from either side of the globe 😉 (so forget about meeting in SF for now :-D) and yet I faithfully come back to see if you’ve ‘bellowed’ for the day ;-). So you have the technology part all figured out. Let me place some models that I’ve come across. See which one suits your style. This is probably what you are having in mind when you were talking of workshops and all that. And this bloke is also similar in ideas as you are. But since you are….ummm.. how do I put this delicately…..so radical, you will always have a summat fringe following only. And your outreach might be restricted to the Californian Republic and thereabouts (Washington State/San Juan & Salt Spring islands/Montana..well you get the idea). The guy’s a bit like you. Did well for himself (by systematic winging – forgive the oxymoron Ha Ha) and is now an ER himself. And he spends his time putting up a looooot of videos on education, basic fundamental education for free. All one needs is the Internet connection for streaming live (and if the net connection is poor, then someone with good net could arrange local bundling of CDs for the rest of the masses), and there’s no issues about copyright etc. He wants to reach as many as he can through this. It is his way of giving back to the universe I suppose. Well, sorry for being all “new-agey”, but what do you know, I am an Idealist/INFP so that fits, right? :-). Like the guy above, you could also educate the people over various financial literacy aspects with clearer examples and breakdowns (Kaplan would be furious though, he he..) Then your model would become a cross between this model here and……. You probably heard of the teacher who’s a celebrity by posting videos on and about GW on YouTube. This is something you can try out as well. But as with ideas as radical as yours, you need to allow people “bake in time”. and posting a video, refine it and polish it based on critique etc… Some of your brilliant ideas can get their rough edges smoothened and a wider audience will be automatically born. Somebody spoke of a streaming radio station in a previous comment, and I feel that audio/video is a more evolved model than simple audio (and please don’t try and podcast and all that…. Keep your technology accessible to all strata of society mp3..). Personally, I find that this (internet) radio station somehow brings up images of all cultish type of people, an image actively nurtured by media as well (Convoy, Vanishing Point, 2012 – some examples ;-)). So, I would keep out of that in a heavy way, if I were you. I hope it is useful for you. Let me know how your thoughts progress on this one. I live around Stanford and would definitely come. Would be willing to pay $5. The colleges and universities and public park/recreation services in my area often have non-credit courses. Such courses are likely the easiest way to sound out whether you have a wider audience than those that bother reading/posting here. Me? No, I wouldn’t pay money/travel to see the seminar. That’s partly because I already understand the principles and partly because I don’t attend motivation seminars, either. If I knew you were in town and giving a seminar, then I might go out of curiousity to meet “the man”. Well I’m going to be in the SF area for March and April so if something happened I might attend. I think the key to deciding would be knowing what would be covered. I don’t know how much more could be conveyed in person rather than through the web. Certainly there’s an excitement and personability of being able to be present as well as the possibilities for discussion. But is that enough? I would think that a semi-regular meetup where people can bring questions, share tips and experiences would ultimately be more valuable. The top-down lecture model is pretty outdated these days unless you’re dealing with extremely detailed and specialized knowledge. Give various talks in the Bay Area, and I’ll definitely come to one. Maybe start with meet-ups. I’m not sure about how much to charge. What if you waited until you had your book published, and then organized readings to sell your book? As always thanks for all you do!! First off I will buy your book..my very small way of giving back to you. Looking forward to it. I agree with the public broadcasting radio thing. OPB up here in Oregon would be interested in this. Every day they use the phrase ” In these uncertain economic times…” You are -what they say?… certainly timely I think. Of all the books you suggest the frugal ones are fun to read but the technical ones that I have read so far seem to assume that you already understand how all this stuff works. As far as money and travel goes I am a big believer in value. If you put a curriculum together that looks appealing for my needs I would fly from Portland to SF and gladly pay several hundred dollars to get a good education. Heck my 6 plus years in university cost…alot and has given a good ROI. I don’t see this as any different. Maybe the next step would be to propose a syllabus or curriculum for us to preview and then ask the money question again? This is kinda starting to sound a little like the radio and tv and educational programs that Dave Ramsey puts on. He has done a good job. I read his book first over 10 years ago and it really got us started off right. Your program is obviously more radical but also has the opportunity to become absolutely revolutionary. No one had ever proposed your concepts to me and I think it is just great. Time, place, date. Maybe make it an “experience”. A cross between meet-up and workshop that is streamed and taped? There are lots of “free” venues too to use all around the Bay. I wouldn’t mind hosting it myself – I have a pool right outside my apartment (so, maybe in spring time) and I like entertaining (keep the bar stocked, charcoal aside). It’d be BYOA (A for alcohol), but not req’d. I’m in St Louis, so not sure I could come out to SF for a meeting. I’d definitely be interested in a video chat – similar to what Ramit Sethi does with his “office hours”. He’s on video, users can log in and type questions. Also, I’ll be buying your book as a thank you for this terrific blog. – Sure… I’m just too far. I live in the Bay Area. I am willing to pay up to several hundred dollars to attend a workshop that I will benefit greatly from, so it all depends on the content. I am interested in a simple meet up or networking opportunities with other EREers. Jacob, have you considered holding “office hours” for your disciples? I would definitely pay for the opportunity.